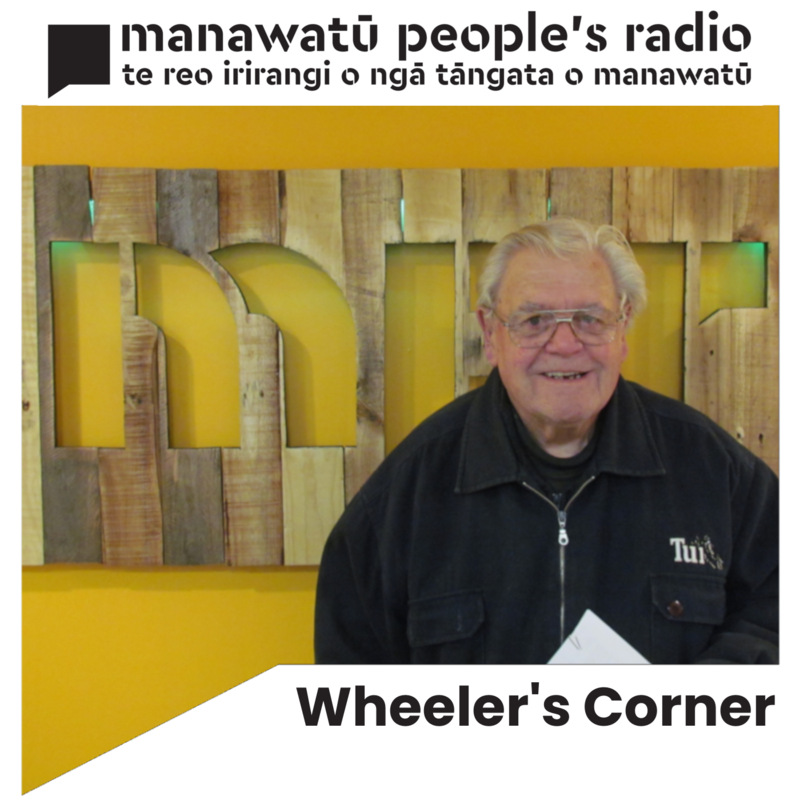 Wheelers Corner looks at local, national and international issues; it is an opinion programme that uses everyday language to explain sometimes difficult events that effect New Zealand and the local region. It tackles the hard subjects and breaks free of the main stream media habit of simply publishing press releases. The presenter is an ex-serviceman who served twenty years in the Army and who spent many years in overseas postings. He was the HRD Manager for Allflex and later for Foreign-Affairs as a Training consultant for various aid programmes. Later he was a Palmerston North City Councillor and stood for Parliament for the Alliance Party. He has issued Wheelers Corner [via Access Radio and by email], for the last eight years and was the Chairperson of the Awapuni Ward Committee. He also has a blog at wheelerscornernz.blogspot.com.